Empowering enterprises and governments to reveal cyber risk and quickly orchestrate remediation. 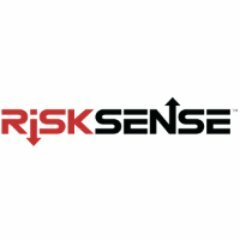 RiskSense®, Inc., is the pioneer and market leader in pro-active cyber risk management. The company enables enterprises and governments to reveal cyber risk, quickly orchestrate remediation, and monitor the results. This is done by unifying and contextualizing internal security intelligence, external threat data, and business criticality across a growing attack surface. The company’s Software-as-a-Service (SaaS) platform transforms cyber risk management into a more pro-active, collaborative, and real-time discipline. The RiskSense Platform™ embodies the expertise and intimate knowledge gained from real world experience in defending critical networks from the world’s most dangerous cyber adversaries. By leveraging RiskSense cyber risk management solutions, organizations can significantly shorten time-to-remediation, increase operational efficiency, strengthen their security programs, heighten response readiness, reduce costs, and ultimately minimize cyber risks.